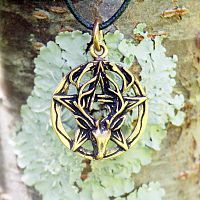 - Often used to represent the male aspect of the Divine, the stag symbolizes strength, nobility, and a direct connection with nature. 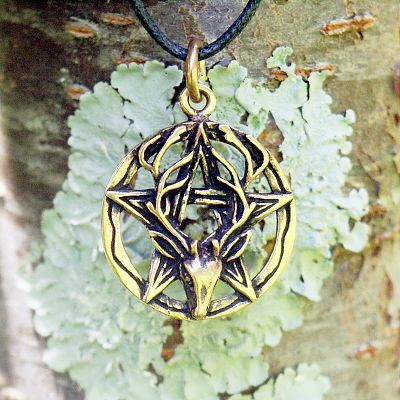 Whether you know him by the name Cernunnos, or Herne the Hunter, or simply as the Lord of the Forest, you will recognize his wild power and raw energy. 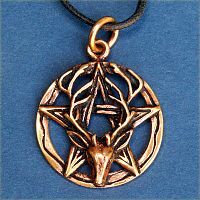 This pendant, with a magnificent stag's head superimposed on simple pentacle, is cast from bronze, and measures 1" in diameter. 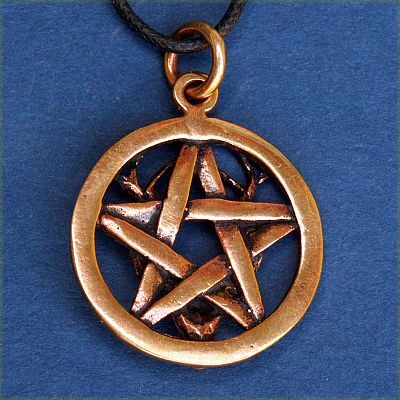 It hangs from a 33" black cord. 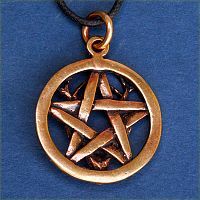 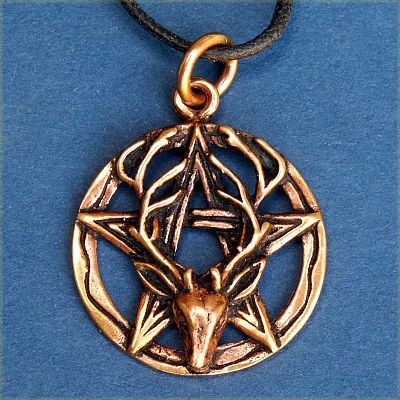 Do you have any other questions about our Bronze Stag Head Pentacle Pendant?